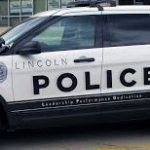 Lincoln Police are concerned about the increase of juveniles using air horns to get high. Officer Bonkiewicz says officers responded to a huffing in the last week in which a juvenile was hospitalized because of huffing. Bonkiewicz cautions that one study indicates that twenty percent of U.S. middle school and high schoolers have “huffed” at some point. Lincoln Police are concerned about the increase of juveniles using air horns to get high. Officer Luke Bonkiewicz says officers responded to an incidident in the last week in which a juvenile was hospitalized because of huffing. Officer Bonkiewicz says the process in which juveniles use or release chemicals from the air horn in a confined space and inhale it is very dangerous. Bonkiewicz says the huffing is not a harmless game and can lead to permanent physical damage including brain damage and even death. What can parents, teachers, and schools do? -Be on the lookout for empty air horn cans, as well as other empty aerosol canisters, such as glue, dry-cleaning fluids, whipped cream, and other aerosols, as well as huffing paraphernalia. What measures should businesses, especially sporting goods stores, take?